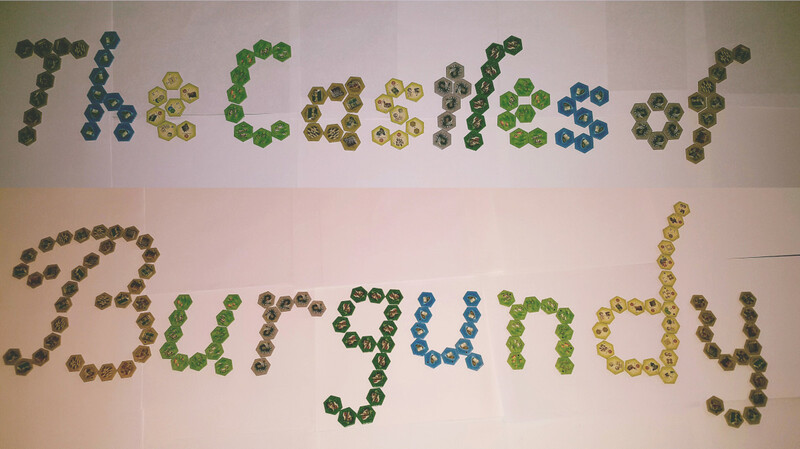 The Castles of Burgundy Review: Is It Colorblind-Friendly? My husband and I are board game enthusiasts. 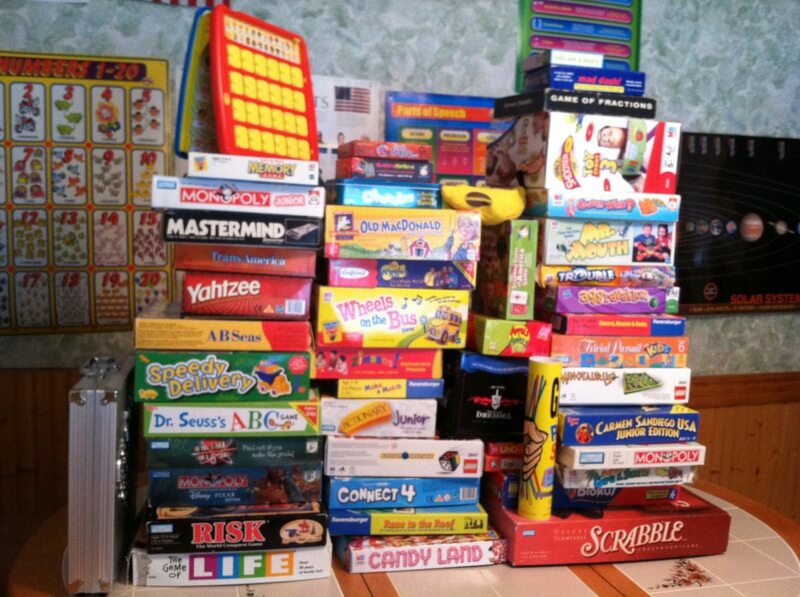 Our collection totals more than 120 games. When considering a new game, we prefer that it plays well with two people. It must have a theme and a mechanic that we both enjoy. Because my husband is colorblind, our board game purchases are also guided by how well a game plays for people who are colorblind. The rest of this article will focus on that. For the unfamiliar, colorblindness is more like blurry vision than the ability to not see any color at all (except for a small percentage - monochromacy/achromatopsia). Generally, for those who are nearsighted, a small letter “E” far away is hard to discern, and a giant letter “E” up close is easy to discern. Similarly, someone with red/green deficiency (deuteranopes) may have a hard time discerning a small red swatch far away, but close up it can be clearer. There is a wide spectrum of blurry vision problems, as there is also with color blindness. 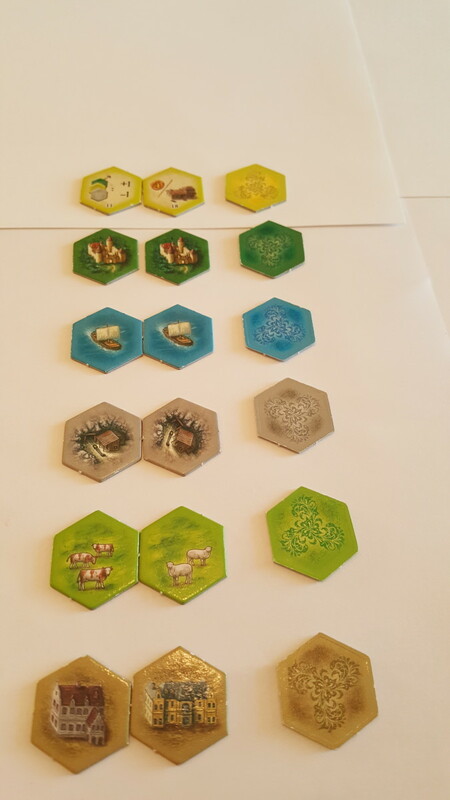 This review will discuss how colors are used in the game The Castles of Burgundy, and how much colorblindness (deuteranomalous) affects game play. The Castles of Burgundy is set in the Burgundy region of high medieval France, and each player takes on the role of an aristocrat, originally controlling a small princedom. 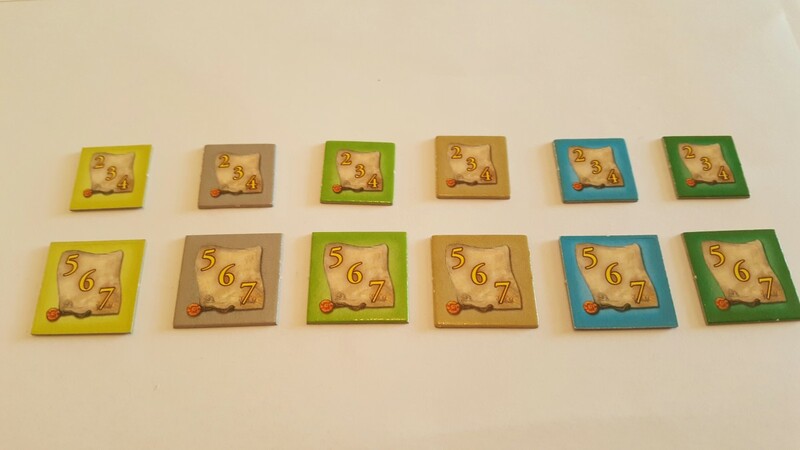 In this classic Stefan Feld game, players select tiles and add them to their princedom in order to score the most points. 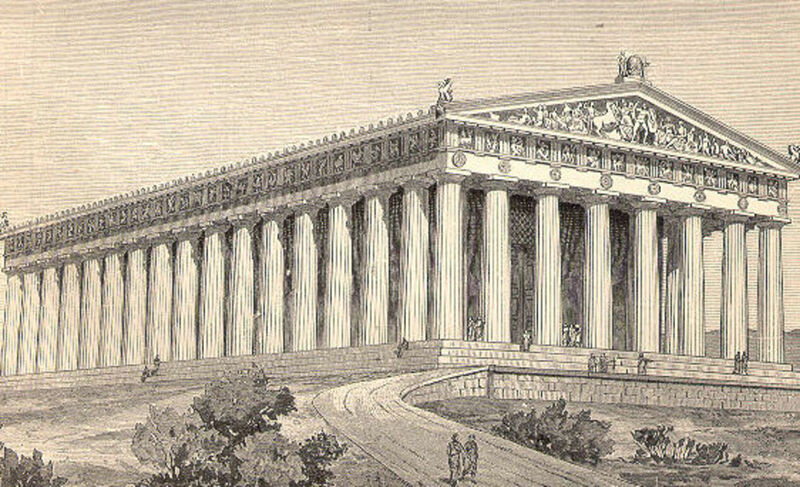 Let’s take a look at the components and discuss how being colorblind affects game play. Each player has 2 dice, 2 cylinders and 1 victory point tile. The game comes with blue, red, green, and black sets. The first player also uses the white die. During game play, the dice stay near your player board and don’t mix with other players' dice. The victory point tile is only used to keep track of how many times you pass 100 points on the scoring track. None of these pieces should cause trouble for players with colorblindness. One of the cylinders is used for the score track and the other is used for turn order. If you have a hard time differentiating the colors, put another player in charge of the scoring track. It is important to know who goes first in the turn order. 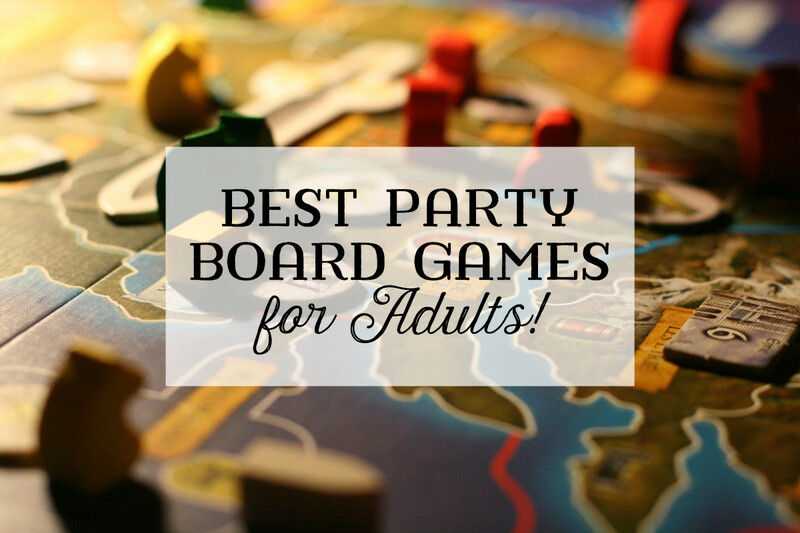 My husband and I love this game as a two player game, and we're really not crazy about it as a four player game because it takes way too long. Because of this, we usually only use two colors-red and blue, which makes it simpler for his colorblind eyes to see. During the game you will select hex tiles from the main board to add to your player board. 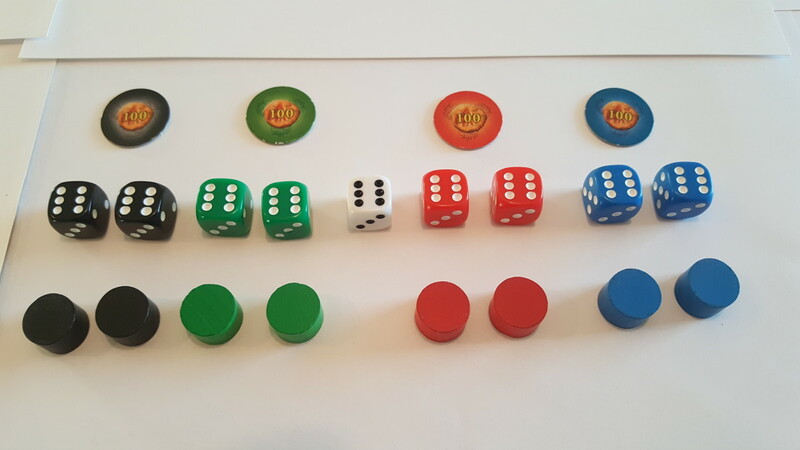 Your options are determined by what numbers you roll on your dice. Each hex tile has a distinct picture on the front. The background color of the tile is a different color for each type. The light green and the beige are not easy for my husband to separate. However, he can easily see the pictures of farm animals and buildings, so the colors don't really throw him off. The backs of the tiles are hard to distinguish because they are more of a solid color with no pictures. The directions for the game say to separate the hexes by color and shuffle them face down. We use colored drawstring bags to store the hexes by type, rather than separating them out every single time we play. They also don't have to be flipped face down if they're in the bags. It saves time with game setup. Some of the yellow tiles have other types of tiles referenced on them only by color. When they are pulled out, you can have the other player clarify the colors before the round begins. After a couple plays, this will become easy to recognize by the number of hexes. All the yellow hexes and how they work are referenced in the instructions with a full explanation. Depot tiles have a black background and come in all types. The front of the tile matches the other types for color and has an additional black hexagon icon at the bottom so they can be distinguished from the other regular tiles. Occasionally, during clean up, one of the black tiles accidentally gets tossed into the storage bag for the regular tiles. We might not realize this until the next game when someone pulls a black tile out of the storage bag for another color. Not a huge problem. The color tiles themselves don’t seem to be a hindrance for colorblind players. When a player completes all of one type of hex (all of one color) on their player board, they receive a bonus tile for that type. The square bonus tiles are only differentiated by color, but it doesn't seem to affect the game play. If you know you have completed a section on the player board, you can ask another player for the correct bonus tile if you're unsure which is which. Each player receives a player board at random. 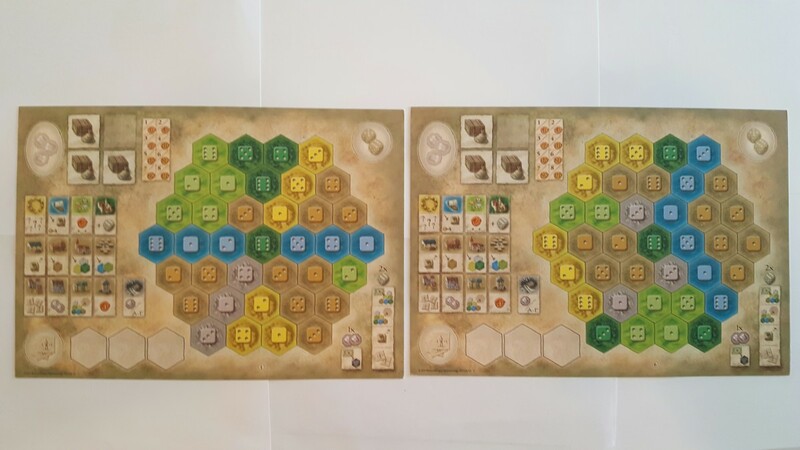 The layout of the colored hexes varies from one board to the next. When a player takes a hex tile from the main board, they must place it in the "holding area" on the lower left side of the board. There are three blank beige hex spaces in this area. The colored hexes laid out on the player board are the same color as the tiles and have a dice number on them. 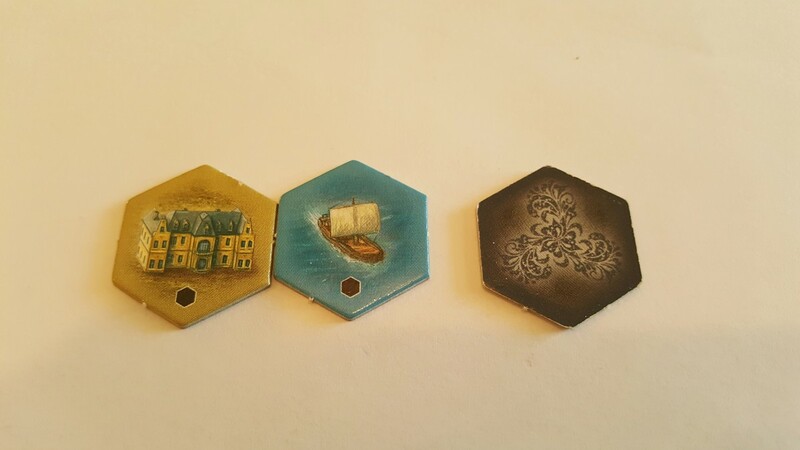 Unlike the hex tiles that are taken from the main board, there are no pictures on these, other than the die. The only way to know a spot is for buildings and not farm animals is to know which color it is. The color sections are large enough that my husband can usually tell which is which. A colorblind player with more severe deficiencies may not be able to tell the blocks of color apart. 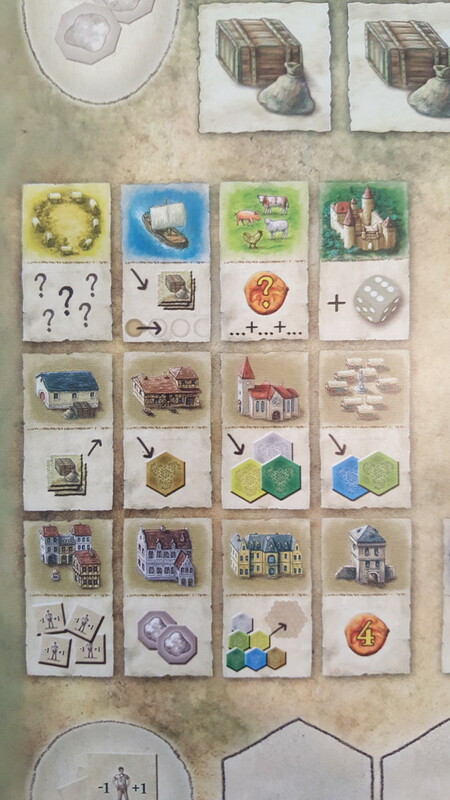 The player board also acts as a player aid, telling the player what bonus they receive for placing each building. The icons only show the color of the hex tiles and may be hard to distinguish. For example, the market allows a player to select a blue or a light green. If you cannot tell the light green from the beige, this could present a problem. After a few games, you learn what colors/types are grouped together. There are 3 hex groupings that are used on the player board and on some of the knowledge tiles. Eventually, a player learns what these groupings are and should not have to rely on color. Goods tiles come in six colors and each color is tied to a specific number represented by a die face. The color of the tiles is not relevant to the game play. The number of the die on the tile is sufficient, and a colorblind player should not be affected. 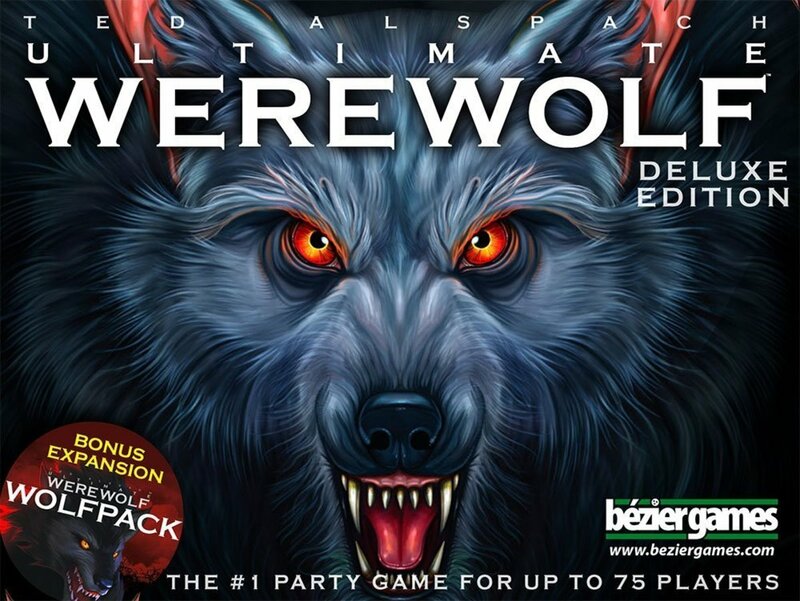 What is your favorite Stefan Feld game? The Castles of Burgundy is a fun game, although there are a couple areas of game play that could be hurdles for a colorblind player. You will want to check and see if the colors on the player boards are distinct enough for your eyesight. If not, you could augment the hexes on the player board with small icons to help distinguish the colors of the hexes. 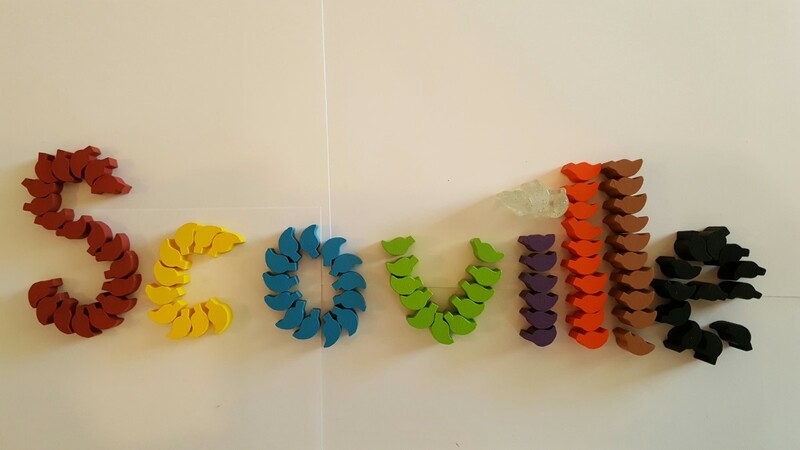 Scoville Review—Does It Pass the Colorblind Test? 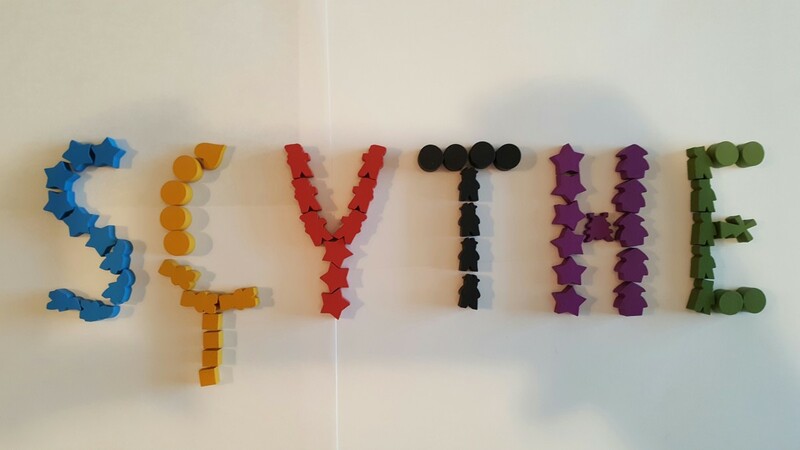 Scythe Review: Is It Colorblind-Friendly? 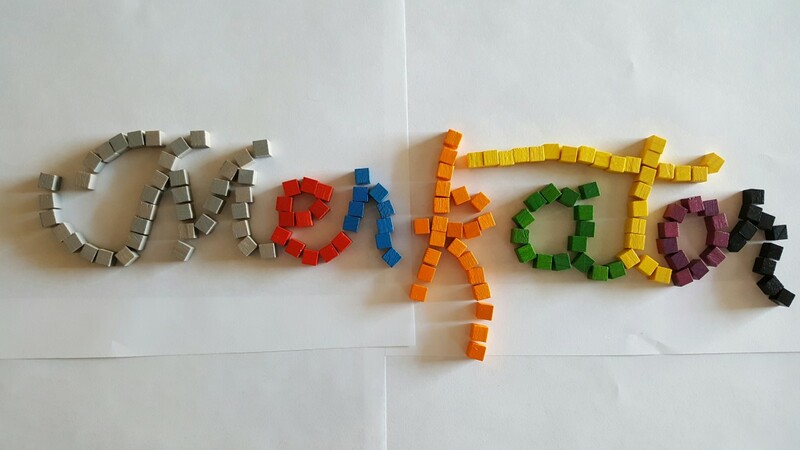 Merkator Review: Will It Pass the Colorblind Test?